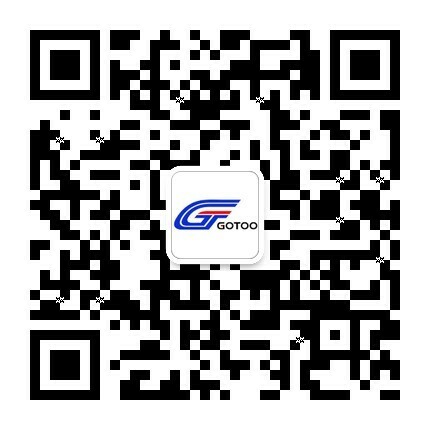 Gotoo HQ located in xiangzhou huopai Industrial Park, Xiangyang city, covers an area of 33,350m2 (new land acquisition of 202,768m2 under construction), production workshop more than 26,000 m2, office building more than 10,000 m2, in Wuhan city has more than 6,000 m2 R&D building. Set up branches or subsidiaries in Wuhan, Suzhou, Beijing, Chengdu and Changsha cities respectively. Company now has an annual output value of 1 billion CNY (159 million USD). After receiving the listing letter of new over-the-counter market at the end of 2016, the company has transferred to the small and medium edition of the application. Now it has been put on record in Hubei province securities regulatory bureau and is in the stage of IPO supervision. Gotoo was certified as a high-tech enterprise in 2015. Has a Hubei province enterprise technology center, engineering center, is Hubei province technology innovation demonstration enterprises, listed gold seed enterprises, modern enterprise system pilot enterprises in Hubei province, 2016-2017 Xiangyang city contract abiding and credit enterprise, ZAGRO railcar mover vehicle project was selected for the 2017 China-Germany cooperation demonstration pilot project. In October 2017, the company was identified by the China Ministry of Transportation as one of the four initiators of China urban rail transit technology center. Currently we have 276 employees, including 20 masters degree, 61 undergraduates, 113 specialists, 82 others, 17 senior engineers, 28 mid-level engineers, 51 engineers, after-sales service team of 115 people, and are still absorbing all Professionals and are still absorbing all kinds of professional talents people in the country, to create a "partner" mechanism of entrepreneurial innovation platform. Company has strong scientific research capabilities and has developed more than 100 national patent products such as locomotive anti-collision distance warning device, transmission line bird repeller, railway rail high-frequency heating equipment, central air-conditioning for energy conservation and environmental protection sources, and etc. more than 100 national patent products. Company now has 112 patents and the current patent is increasing at a rate of more than 20pcs per year. With vigorously R&D developing independently, the company has extensively carried out various forms of technical cooperation with universities, institutions and outstanding companies in China and oversea. Domestic cooperation includes Wuhan University, Wuhan University of Technology, Huazhong University of Science and Technology, Aviation 610 Research Institute, Aviation 605 Research Institute, Aviation 627 Research Institute, Northern Arms Research Institute and other institutions and scientific research institutions. At present, it has cooperated with four European companies and has successively introduced IME's fixed (mobile) lifting jacks, Spain's NEWTEK fixed sand loading equipment, Swiss ELAG's wheelset online digital laser detection system and Germany ZAGRO company's E-MAXI Battery-Driven Railcar Mover. Established ZAGRO's only oversea manufacturing plant in Gotoo Xiangyang city. Rail transportation: Jiangsu Huai'an modern tram, Nanning Metro Line 2, Wuhan Optics Valley Tram T1T2, Hanyang Tram, Wuhan Metro Line 6, Changsha Metro, Honghe State Metro, Shenzhen Metro, Wuhan, Chengdu , Shanghai, Xi'an, Guangzhou harmonious car base, high-power maintenance base, motor vehicle maintenance base and so on large-scale project construction. At the same time, the "Belt and Road" strategy of the country is expanding into overseas markets with the high-speed rail. The Hanoi Metro project in Vietnam is being implemented. Aerospace aspects: developed helicopter emergency rescue airbag experiment throwing equipment for Aviation First Group Aviation Lifesaving Equipment Co., Ltd., transporter warehouse exit experiment system by China National Special Aircraft Research Institute, and blower test wind tunnel for China Shipbuilding Aviation Technology Development Co., Ltd., China. Institutes (ie 605 institutes) developed large-scale intelligent electromechanical integrated experimental projects such as the hydroplane in-flight test device and the assault boat test project, such as the “Eleventh Five-Year Plan, the Twelfth Five-Year Plan, the Thirteenth Five-Year Plan”, and all were reviewed and accepted by the National Defense Industry and Technology Burea.